When responding to food price increases, households adjust their consumption patterns in a number of ways by scrimping and saving. Belt tightening has become common practice for anxious South African consumers who have, again, been accosted with warnings of steep food price increases. The situation is grim for homes but the bigger threat of food insecurity is lurking in the shadows. When responding to food price increases, households adjust their consumption patterns in a number of ways by scrimping and saving. They decrease caloric intake at each meal, decrease the number of meals per day, decrease the diversity of foods they consume, or substitute with less preferred foods. These temporary disruptions in food access resulting from food inflation can entail long-term, often irreversible nutritional damage, especially amongst infants and young children. Although South Africa is considered to be food-secure at the national level, there is substantial food insecurity at the household level. More than half of South African households experience some form of food insecurity, and one quarter of South Africa’s children have experienced severe malnutrition. One of the biggest challenges for South African food security is persistent undernutrition, or “hidden hunger”. This arises from diets lacking the quality and variety of foods necessary to meet nutritional requirements. The typical South African diet is energy dense but micronutrient poor. Dietary diversity, the number of different food groups consumed in a reference period, is then a good proxy of nutrient adequacy. 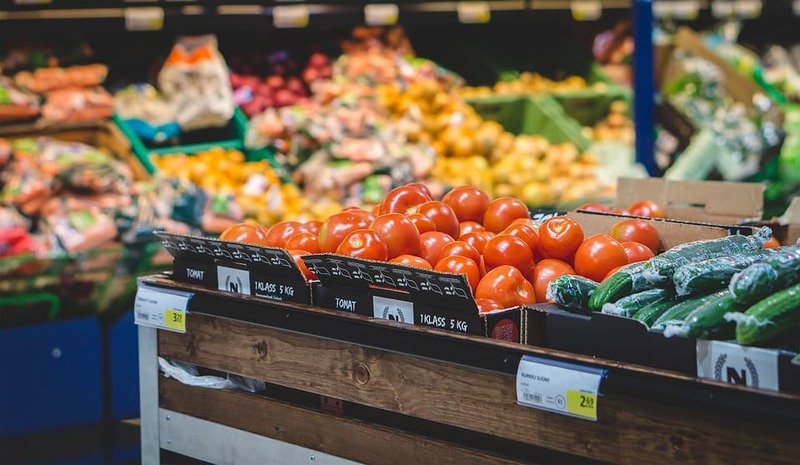 Data from Statistics South Africa’s income and expenditure surveys provides information on diet choices and how these change in response to food prices. The standardized precipitation evapotranspiration index (SPEI) is a measure of weather shocks that incorporates the role of temperature in drought severity in addition to rainfall. It is possible to identify the impact of drought on diet through food prices using these data. Our findings show that dietary diversity differs substantially between wealth groups. The poorest quarter of the population reports consuming and averageof 15 food items and 7 food groups. The wealthiest quarter consume 26 food items and 9 food groups. Food prices have a significant negative impact on household food security. A one per cent increase in local food prices induced by the weather shocks experienced over the past decade decreases the number of food items consumed by household by around 2.5 per cent, and the number of food groups by almost one per cent. Low-income households are particularly vulnerable to these weather and price shocks and further reduce their food baskets to food that may provide sufficient calories, but which do not provide essential micronutrients. This increases the risk of ‘hidden hunger’, especially for children. In contrast, food price shocks do not affect the food consumption patterns of the wealthiest households. According to a recent Food and Agriculture Organization of the United Nations report, the state of food security has deteriorated over the past few years in many parts of sub-Saharan Africa. Global hunger is once again on the rise and climate-related shocks are amongst the factors that have contributed to this reversal of trends. Climate change entails greater rainfall and temperature variability and increased incidence of extreme events such as the drought just experienced in the Western Cape. The potential impact of climate change on agricultural productivity in sub-Saharan Africa has been well analysed. A consistent pattern emerges despite uncertainty in different projections and the underlying climate models. Although the lowest-income tropical countries are expected to incur the sharpest losses, yields for staple foods are expected to decline across Africa. The impact of climate change on food security goes beyond food supply or availability. One of the main indirect channels through which climate-related shocks can undermine food security is the change in levels and volatility of food prices. Since climate change is expected to bring about an increase in the incidence and intensity of weather shocks, policymakers should integrate all food security dimensions into their climate action plans. This should include the dimension of food utilization that is often neglected in national food security strategies. The recent experience of the Western Cape shows that such planning becomes all the more important in the face of the imperative to manage the immediate problems arising from drought. Zaneta Kubik is a senior researcher at the Center of Economics Sorbonne, University of Paris 1 Pantheon – Sorbonne, France and Professor Julian May is Director of the DST-NRF Centre of Excellence in Food Security at the University of the Western Cape, South Africa. This article was originally published on Voices360. Read the original article.